Thomas Piano Service is a local Montgomery family-owned and operated Piano Services Business in the Montgomery, Alabama River Region. Piano Services include Piano Tuning, Piano Moving, Piano Rental, Piano Repair, Piano Restoration, Piano Refinishing, Piano Storage, Piano Appraisal, Piano Voicing, Piano Regulation and more. They also have Used Pianos for Sale at their Piano Showroom located in Mathews, Alabama on the Troy Hwy. Their Piano Workshop Studio is located next door where they perform Piano Restoration and Furniture Refinishing Services. Note: All messages are screened before they are sent to the designated member. We are a directory of piano teachers, tuners, and manufacturers and an industry leader in the latest in keyboard trends, news, and best practices. 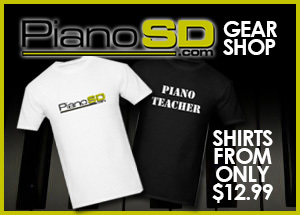 Registration at PianoSD.com is quick, easy, and free. © 2019 PianoSD.com | Part of the PianoSD.com Network | Ric Overton | Developed by MMD.